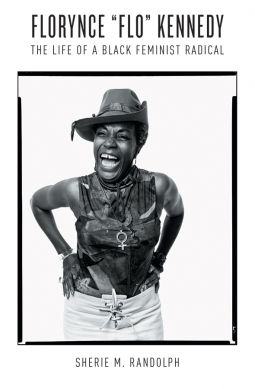 Often photographed in a cowboy hat with her middle finger held defiantly in the air, Florynce “Flo” Kennedy (1916–2000) left a vibrant legacy as a leader of the Black Power and feminist movements. In the first biography of Kennedy, Sherie M. Randolph traces the life and political influence of this strikingly bold and controversial radical activist. Rather than simply reacting to the predominantly white feminist movement, Kennedy brought the lessons of Black Power to white feminism and built bridges in the struggles against racism and sexism. Randolph narrates Kennedy’s progressive upbringing, her pathbreaking graduation from Columbia Law School, and her long career as a media-savvy activist, showing how Kennedy rose to founding roles in organizations such as the National Black Feminist Organization and the National Organization for Women, allying herself with both white and black activists such as Adam Clayton Powell, H. Rap Brown, Betty Friedan, and Shirley Chisholm. Making use of an extensive and previously uncollected archive, Randolph demonstrates profound connections within the histories of the new left, civil rights, Black Power, and feminism, showing that black feminism was pivotal in shaping postwar U.S. liberation movements.